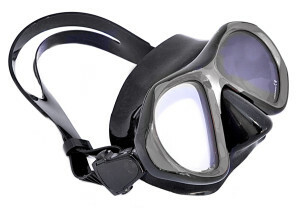 Gauge reader lenses are for divers needing near vision correction only and typically for reading diving computer gauges. 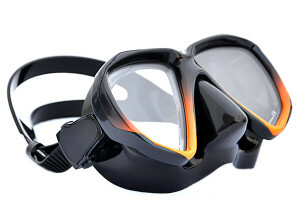 Divers involved in underwater photography with total near plus scripts in the range of 2.5 D or less often select gauge readers. The gauge readers are made from optical crown glass for optimum optics. 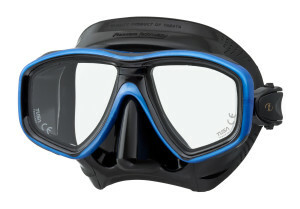 Glass lenses have the added the advantage of superior abrasion resistance. Astigmatism correction is included at no extra charge. 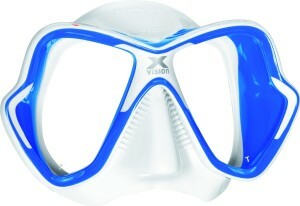 Single vision lenses available to suit an astonishingly wide script range including high prism and high cylinder powers. We are happy to work with difficult scripts and there is no additional charge for high powers. 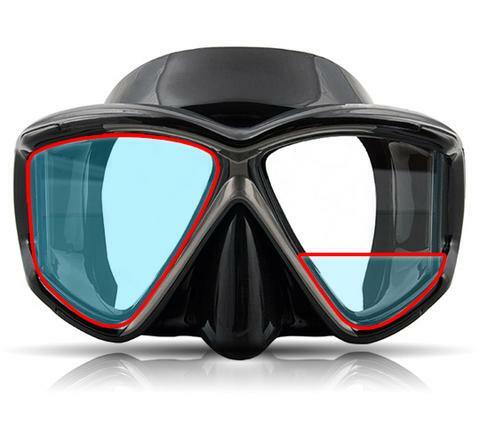 Single Vision lenses are made from optical crown glass for optimum optics and also available in premium lens material to make lenses thinner and more suitable for difficult scripts or for the diver wanting lenses as thin as possible. Very high scripts will need to be made in premium lens material to minimise the potential of edge lens contact with the temple area of the face. 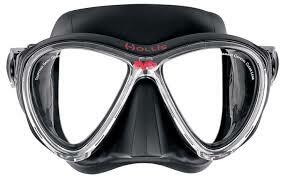 Despite pressure equalisation, lens contact with the temple area of the face is highly uncomfortable. These very popular lenses using a 35mm wide bifocal segment. The bifocal features minimal image jump at the bifocal distance script interface. The lenses are laminated into the mask with the bifocal segment positioned to minimise image jump. 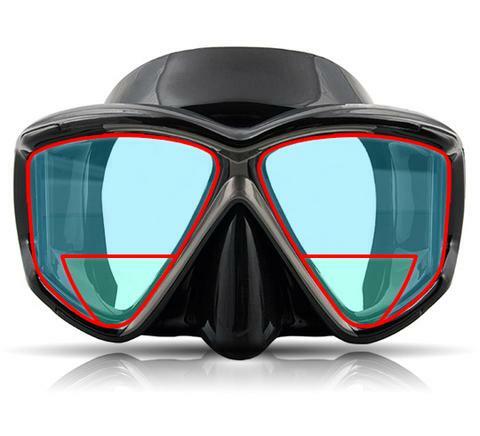 Bifocal lenses give the diver optimum near and distance correction for all diving activities and are highly recommended. The bifocals lenses are made of crown glass and exhibit maximum abrasion resistance. Premium lens material is unavailable for this lens type at the current time.